Invest in accuracy. Create future profits. Today, market dynamics are more complex, customers are more erratic and competition is tougher than ever. Manufacturers and distributors face different challenges than those of the last generation. But, whether you’re trying to leverage sustainable growth, work through lean times, or take your supply chain to the next level of maturity, improved demand forecast accuracy is the most effective leverage point for profitability. 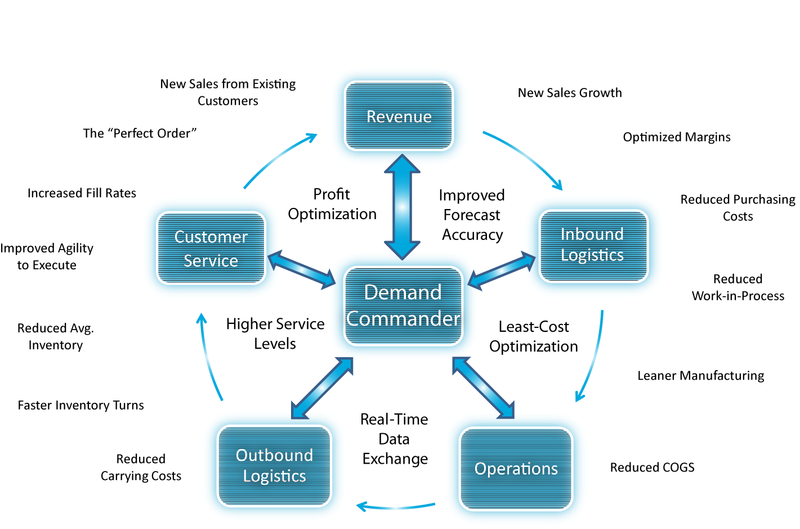 Designed by supply chain experts for supply chain experts, Demand Foresight’s Demand Commander Suite delivers the accurate answers needed for continuous improvements each quarter. What are the impacts across your value chain? Once inventory has been sold, it needs to be shipped. The deployment planning capabilities of Demand Foresight tell you what you need to know to get the product moved from where it is produced to where it is sold. If you supply Foresight forecasting and planning software with freight payment information as an input, it will help you calculate the rate and mix data for where you are spending your freight dollars. Building a customer base means more than selling your product. Businesses succeed because customers come back – and most of us want to buy from companies that provide the very best in customer service. Demand Foresight allows you to collect, store, and aggregate data so you can incorporate key metrics into the core areas affecting your customer relationships. Using POS tracking and sales analysis, Foresight’s service and maintenance solutions can also provide data-supported recommendations on future purchases, show customers how much inventory they are carrying, create better forecasts, and model future promotions and events.